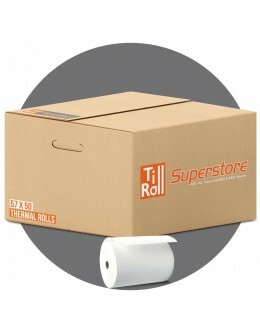 We supply PDQ Rolls and Card Machine Rolls for every type of terminal. Just insert the manufacturers name and model below and let our search do the rest. 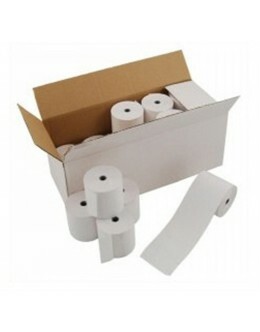 High quality 57 x 25mm thermal paper rolls for use with your PDQ machine. For use with the follow..
57 x 30mm Thermal paper rolls for use with the following terminals: Spire M4100 Ingenico i8550..
57 x 38mm Thermal paper rolls for use with the following terminals: Ingenico EFT930, Ingenico EFT..
PDQ consumables direct to you from a UK manufacturer. High quality 57 x 40mm Thermal pape..
57 x 45mm Thermal paper rolls compatible with the following terminals: Ingenico F35, Ingenico i53.. 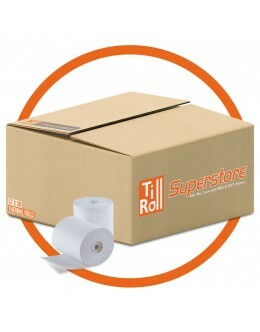 Thermal 1 ply paper rolls 57 x 46mm (box of 20) for use in Hypercom/Thales Artema Portable..
57 x 48mm Thermal paper rolls for use in the following credit card terminals: Verifone VX510, Ver..
57 x 50mm Thermal paper rolls for use in the following credit card terminals: Spire M4230, Spire ..
57 x 55mm Thermal paper rolls are compatible with the following credit card terminals: Hypercom A..
Spire SPc50 - 57 x 50mm Thermal paper rolls ..
Spire SPw70 - 57 x 40mm Thermal paper rolls ..
Verifone VX670 - 57 x 38mm Thermal paper rolls for use in the following credit card terminals: ..
Perhaps nowhere has seen more innovation in point of sale technology than in the devices used to accept credit card payments. Not so long ago, retailers had to rely on 'zip-zap' machines to take a physical imprint of the customer’s card. Since then, the first innovation came in the form of terminals that could connect to the authoriser by phone line. 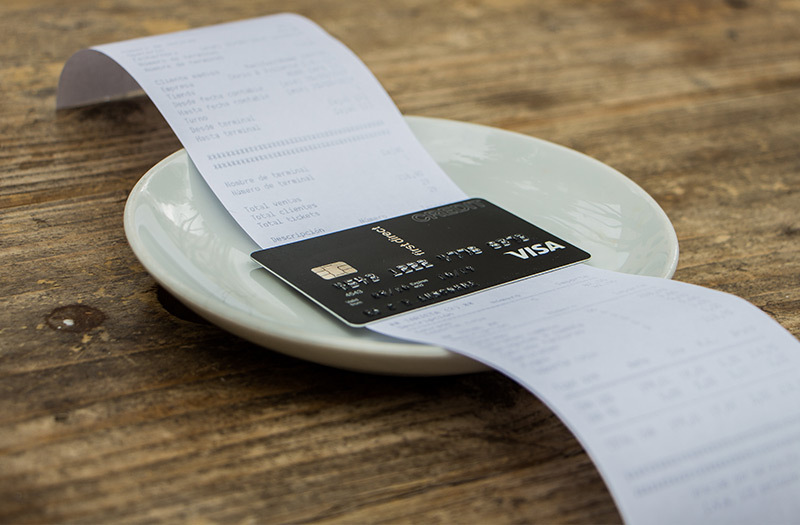 These tethered terminals remain popular because they’re ideal for many retailers who have them sitting on the counter, usually next to the cash register. The next innovation came with the mobile terminals that could be taken off the counter and to the customer, for instance in a restaurant. Initially these devices used Wi-fi exclusively, whilst more recently they have become fully mobile. Today, they can be used anywhere, as long as there is a GPRS-standard phone signal. 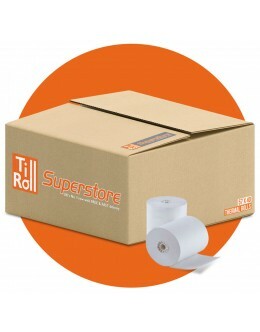 Most mobile terminals use 57mm-wide thermal paper credit card rolls with a diameter of 40mm or 38mm. The most common sizes are either 57x38 or 57x40. These sizes refer to the width and the diameter of the product. Sometimes you’ll also find reference to the core size, but you can usually safely ignore that figure, as core sizes are nearly always standardised at 12.7mm for all applications. It’s important to get the right size PDQ till rolls, because if it’s too big, you won’t be able to close your terminal. The majority of PDQ machine terminals are manufactured by Ingenico, Spire, VeriFone and Pax. These companies also manufacture the Barclaycard and WorldPay terminals. Always at low prices, we stock and supply a range of types of paper for PDQ or credit card machines that fit most terminals. Check your manual to see which till receipt paper rolls or eg WorldPay till rolls you require. Or contact us with the model name and number of your terminal. We’re always happy to help you find the correct product for your terminal. 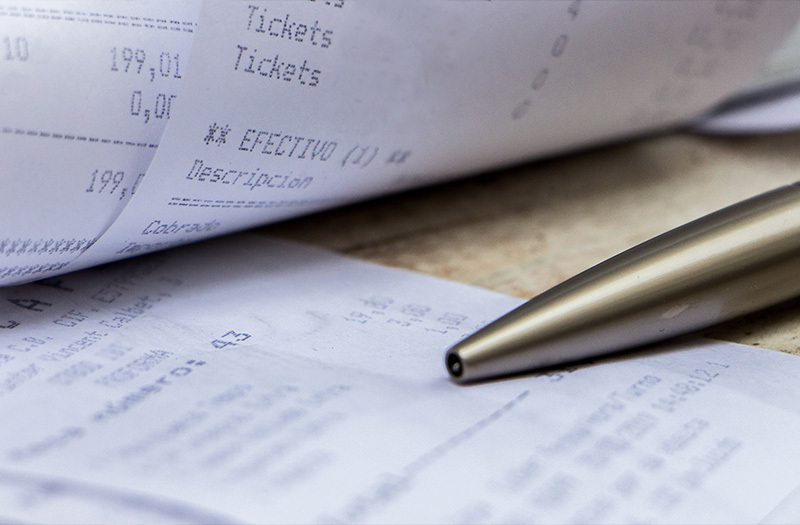 With cards rapidly replacing cash for all types of transaction, there’s an ever-increasing demand for receipt-printing solutions. No paper means no income. When stocking up with credit card machine rolls, it is vitally important that your company does not run out of supplies which can bring your business to a grinding halt.